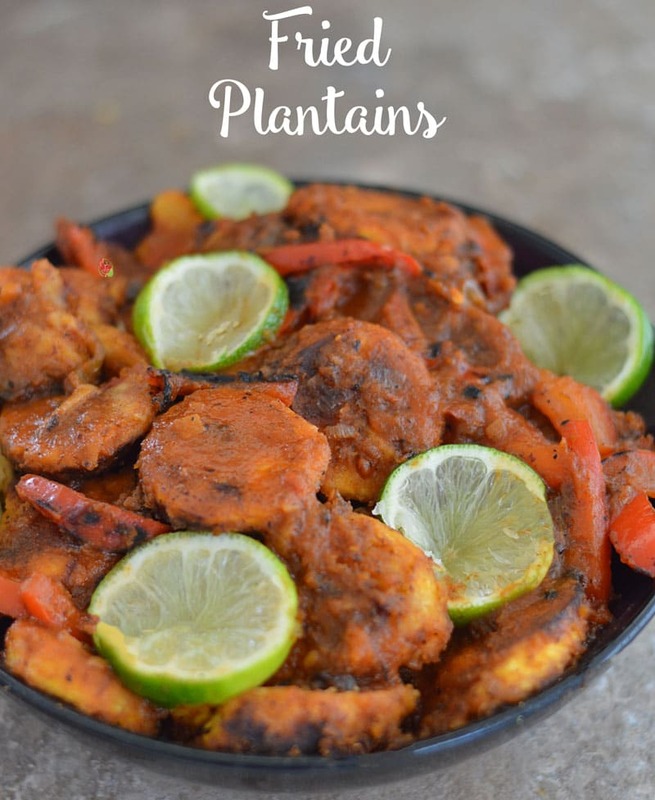 Have you tried green plantains? Latin food uses them as side dishes and African cuisine uses them as part of a main course meal. It always fascinates me to see how different cultures use ingredients in different meals. Today’s recipe is inspired by African cuisine. I have loved plantains in all types of cuisines, but, my favorite way is to eat them in a tomato gravy. 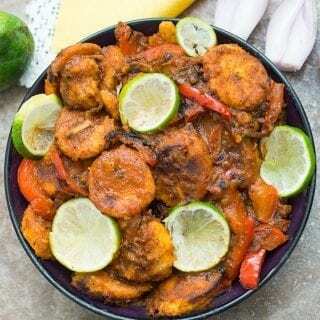 A tomato lover likes plantains in a tomato gravy! The ingredients are simple and work great together. That is a common thread in most African cuisine. I enjoy seeing them make delicious meals with few ingredients and yet, I would never have thought of pairing them. Green plantains are so easy to find. I see them in my local grocery store and I finally thought of making a recipe using them. As I was trying to research the best way to cook the recipe, I came across Bon Appetit’s recipe in their May travel issue (Page 84). 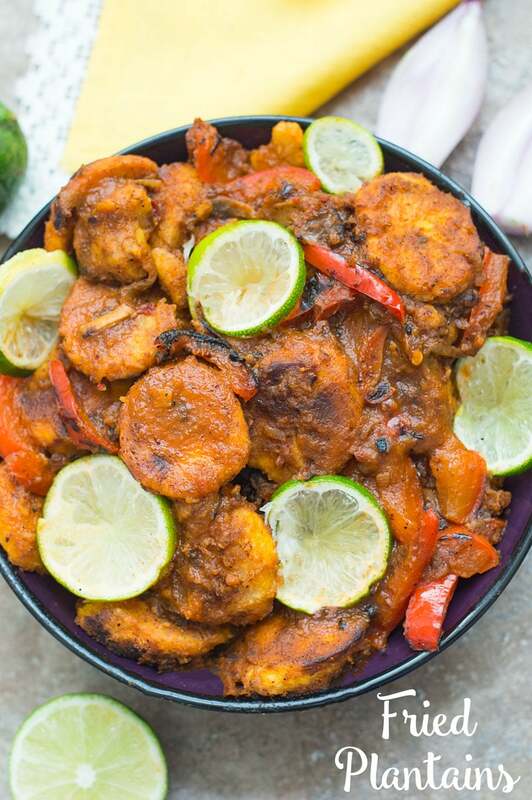 They made a garlic fried plantains and it inspired me to run into the kitchen and experiment! Two days later, this recipe was born! It is, hand’s down, my favorite experiment this year. Everything about it makes me happy and I hope it makes you happy too. Now, for the serious stuff. All the ingredients are easy to find, except for one! For the seasoning, I went with an Ethopian staple called Berbere. It is a spice that is found in African grocery stores or you can order it online. Epicurious also shows you how you can make it at home too. If all else fails, go with homemade taco seasoning. The flavors are close and it will make the plantains more scrumptious. This recipe tastes great by itself, but, if you want to make it even more filling, serve it with basmati rice. 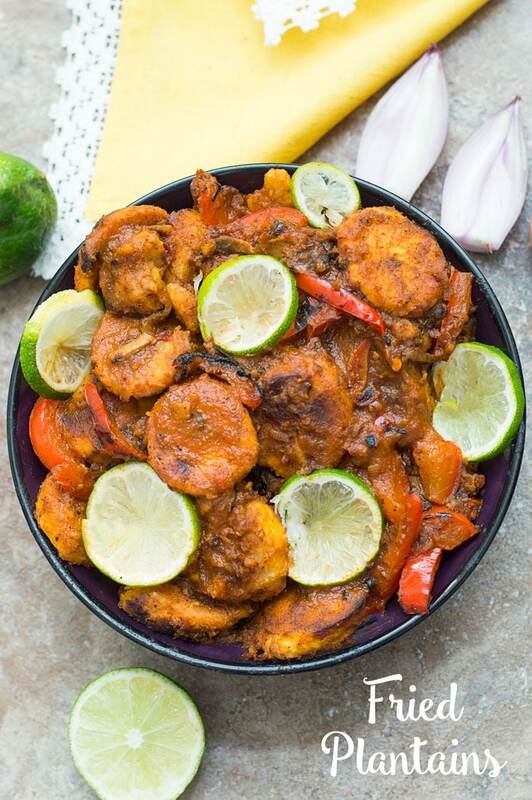 I hope to bring you more vegetable recipes with African flavors because I have found that many of them are very vegetarian and vegan friendly. So, do you have a recipe request for African food? If so, comment below and I will work on bringing it to you! Add the plantain wedges in a single layer. Remove after 5 minutes and dab them to remove excess water. I am not familiar with berbere, is that a spice? This looks jus amazing and I am definitely making this. Thank you, Debra. Yes, it is an Ethopian spice. It is a little similar to homemade Taco seasoning and has a little kick to it.